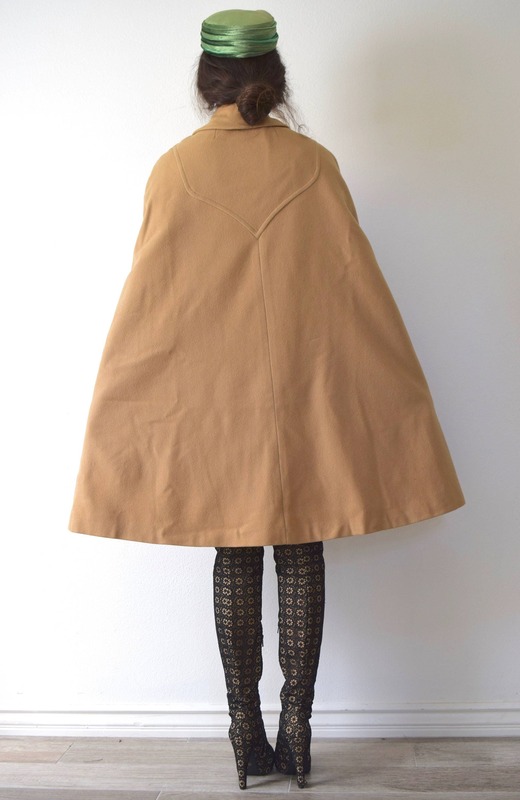 Camel tan cape with front pockets and gold-tone buttons. 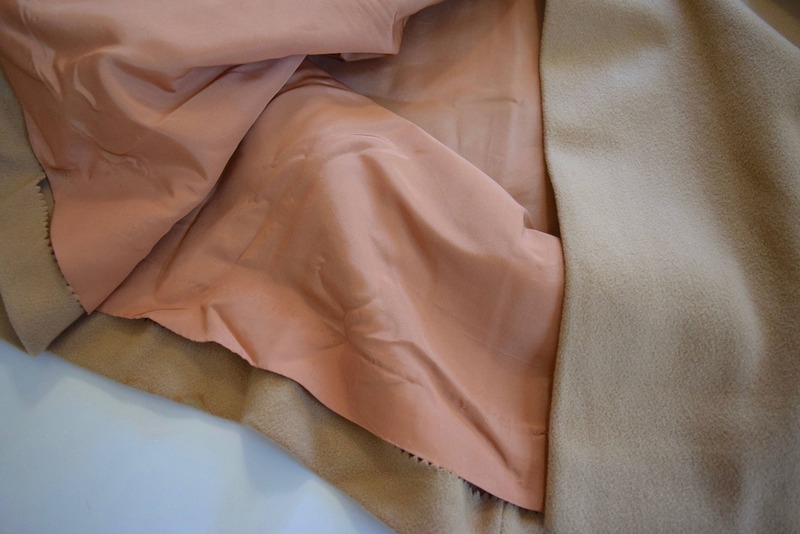 Lined in peach satin. 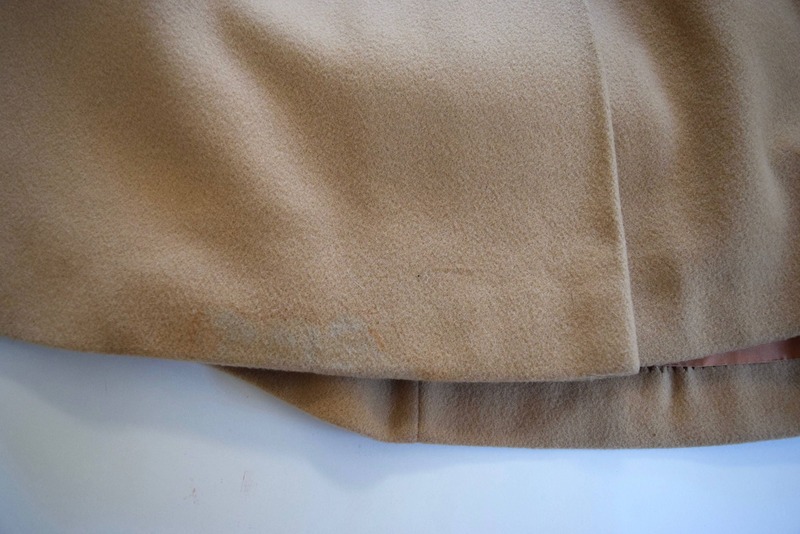 Condition: There is a minor discoloration on the front of the cape on the hem near the center (see picture 6). Measures 1" x 3" and is not detrimental to overall aesthetic. 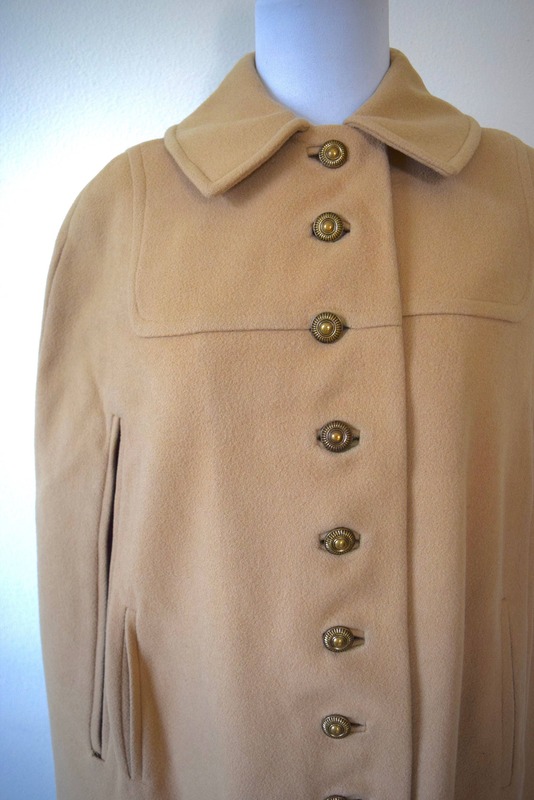 Other than that, no rips, tears, holes, or wearages and in excellent condition. Fits like: One size fits all.